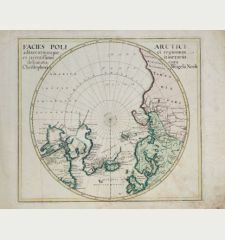 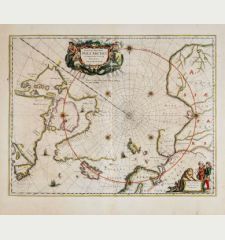 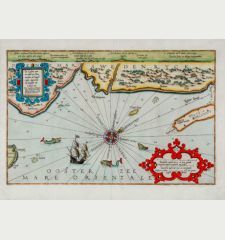 Fascinating and important map of the North Atlantic by A. Ortelius in stunning original colours. 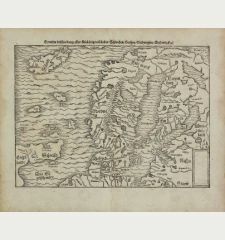 Showing Scandinavia, Siberia and the Arctic regions in the East, the British Isles with the North Sea and the Baltic Sea in the South, the mythical islands of the North Atlantic (Frisland, Brasil, Drogeo and Icaria), Iceland, Greenland and the northwestern part of Canada. 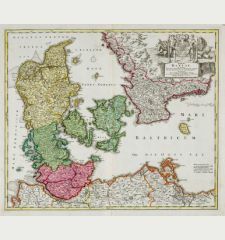 When this map appeared it was probably the best one of the Scandinavian area so far. 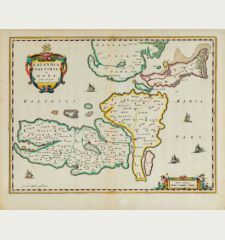 Note the fantasy islands Friesland and St. Brandain. 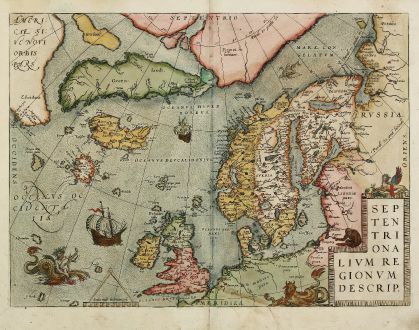 Iceland and Greenland are very distorted and too near... 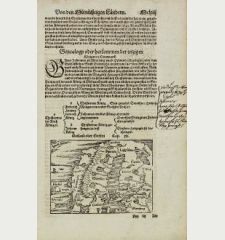 Most likely, the brothers Johannes and Lucas van Doetecum were the engravers. 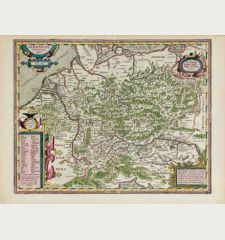 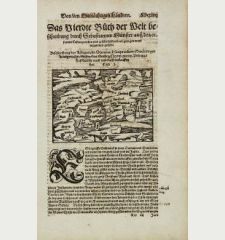 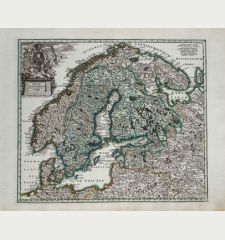 The cartographic sources of the map are the Mercator world map of 1569, the Zeno map of 1558 and the map of Scandinavia by Olaus Magnus 1539. 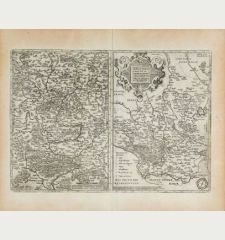 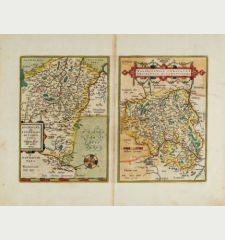 From the 1584 Latin edition of Theatrum Orbis Terrarum, Latin text on verso. 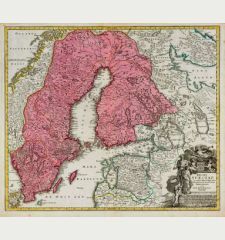 Larger tear right to lower centrefold backed. 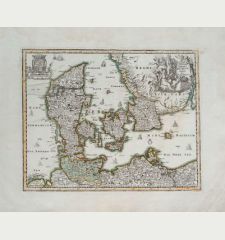 An area of ~ 7 x 30 mm right to lower centrefold restored and redrawn. 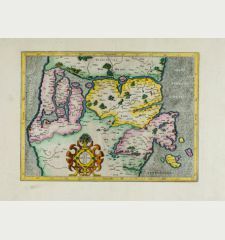 With beautiful original old colouring. 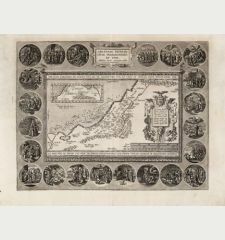 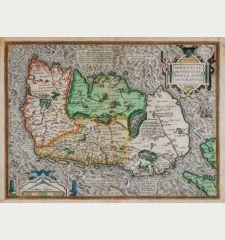 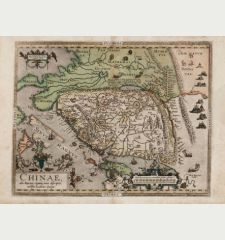 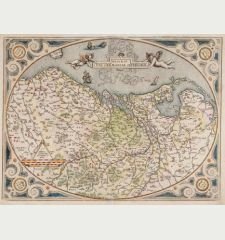 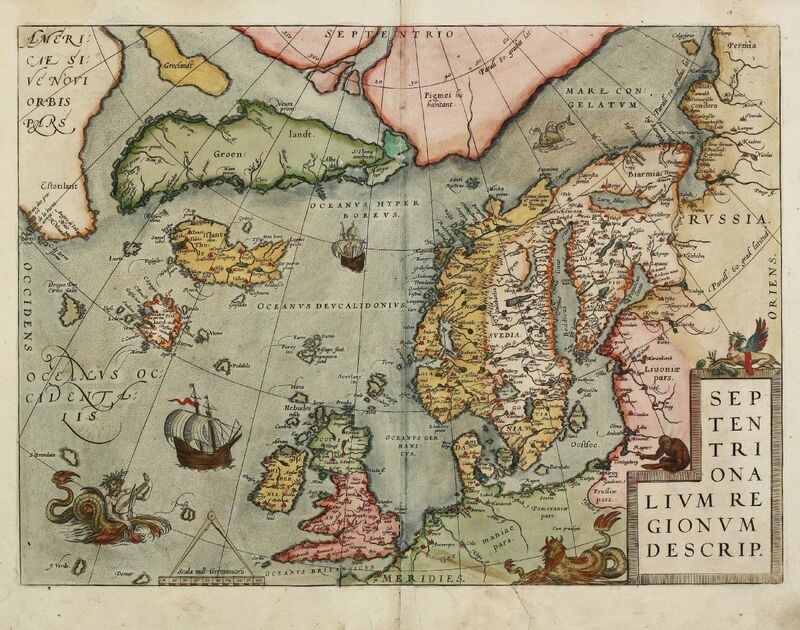 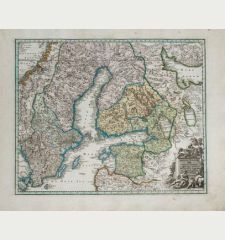 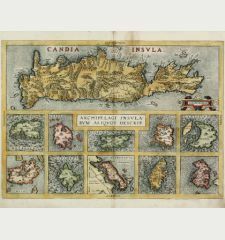 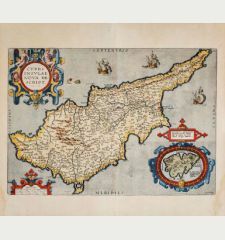 Abraham Ortelius: Septentrionalium Regionum Descrip..
Scandinavia - Ortelius, Abraham - Septentrionalium Regionum Descrip.